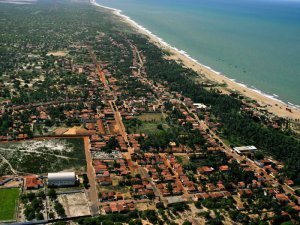 Land located on the spectacular beach of São Miguel do Gostoso, Rio Grande do Norte. It has 250 meters of beach and a total of 141.815m2. - 5 plots of 50 meters each of flat beautiful beach. Great for resorts, lodges, condos or beach houses. The deed of the land is registered in the Registry Office competent Real cartório Notarial de Touros, Rio Grande do Norte. We can also sell the land already approved for gated neighborhood or resort.